An Android device is sure to be plagued by several apps that run in the background. Those result in unnecessary consumption of our battery, data, and general resources. Having our resources drained for virtually no reason can get frustrating. 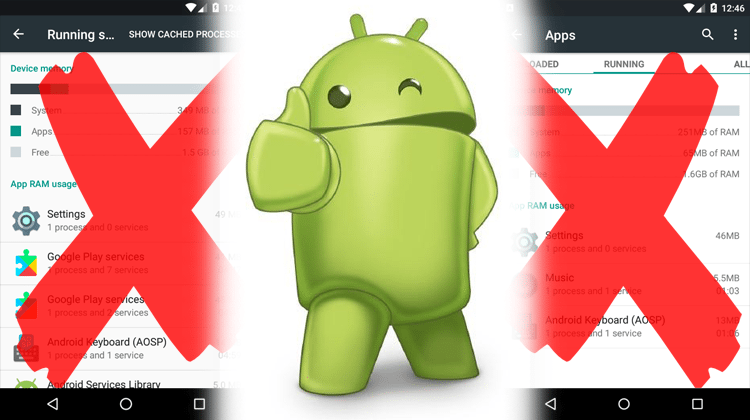 In this guide, we will have a look at the possible ways with which we can make auto-starting apps for Android a thing of the past, once and for all. 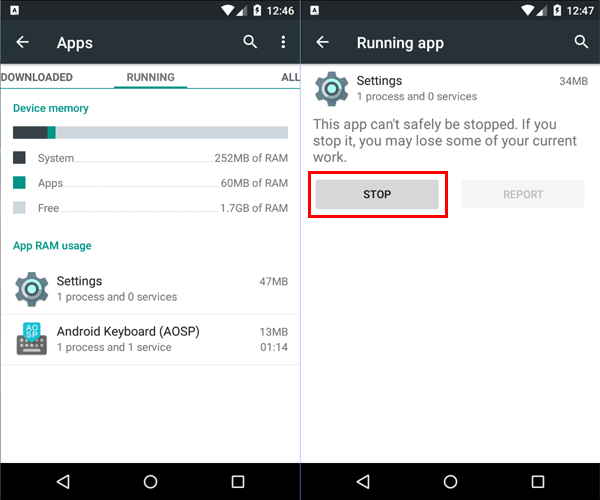 Why should we prevent auto-starting apps on Android? Bypass the Doze function on Android. 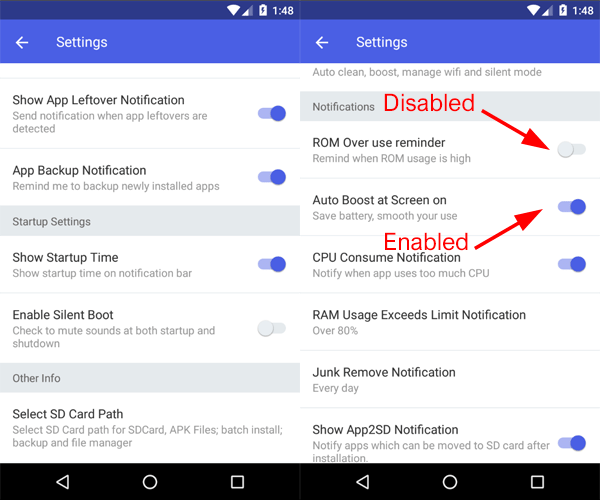 Do you disable auto-starting apps on Android? 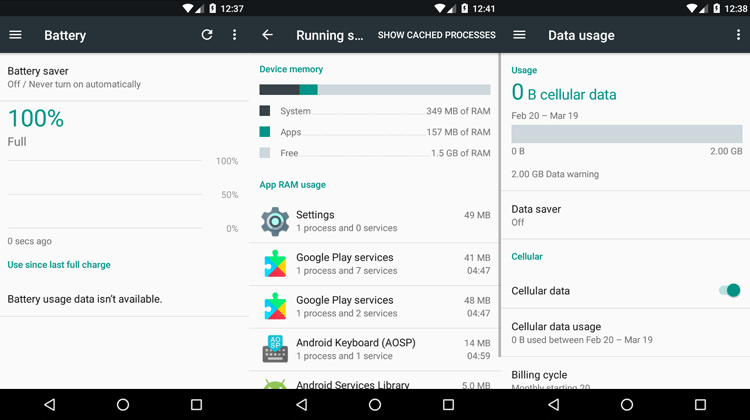 Android, as an operating system, is designed to make the most of our device's RAM. The purpose? The capability to have apps running in the background with things going relatively smoothly. The philosophy behind this feature is great, as it's meant to allow users to access their apps without having to wait for them to load every time. Sadly, these apps consume our system's resources, even if we don't directly use them all the time. On the other hand, some apps run as soon as we switch on our device. These apps might run even without asking for our permission. It is necessary for a few select system apps to run in the background. However, we could survive with having to re-open Facebook, Play Store, and similar apps every time we need them. 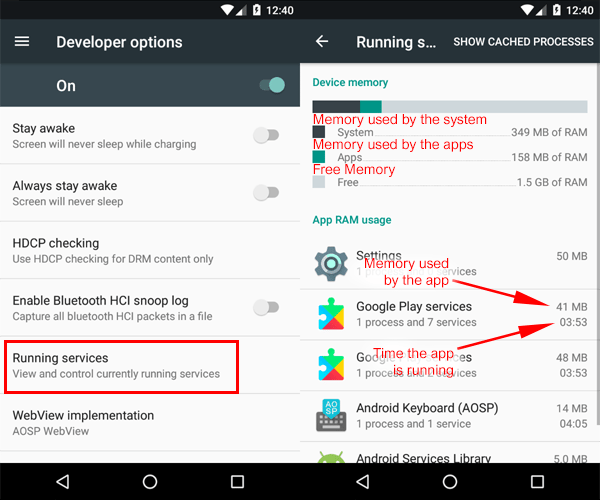 We don't suggest using apps that "kill" other apps to free up memory. Having an app run in the background and consume our resources, just to prevent others from doing the same doesn't make a whole lot of sense. Meanwhile, Android has an integrated system to manage apps running in the background. The reason why we shouldn't let apps run in the background is simple. Apps which keep running in the background consume our phone's battery, overload our memory, put our system under stress, and in a few cases, waste our data. Moreover, the battery's life expectancy is decreasing, and thus, the life expectancy of our device does so as well. With all of that said, let's go over how we can prevent apps from auto-starting, and increase our device's lifespan. 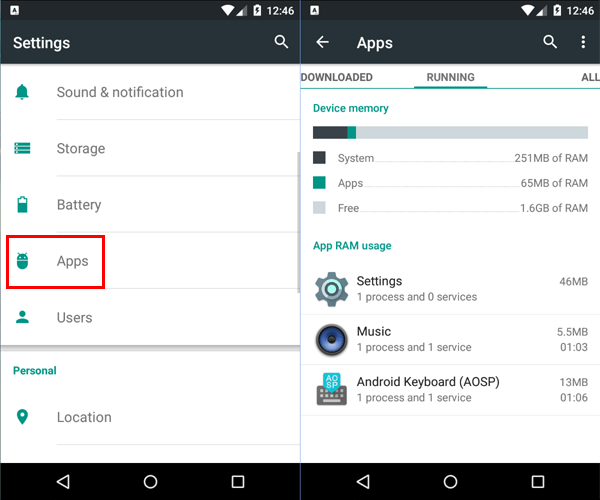 We can easily find which apps run in the background on Android 6.0 or above and stop them from doing so. For starters, we enable "Developer options," and then we go to that menu. We track "Running services," and tap on it. From here, we get informed on how much memory our system and apps use, and how much of it is free. Tapping on the desired app will present us with two options: STOP and REPORT. Select REPORT, and the app closes immediately. There's no guarantee that an app won't ever be enabled again, so frequent checks would be a wise decision. 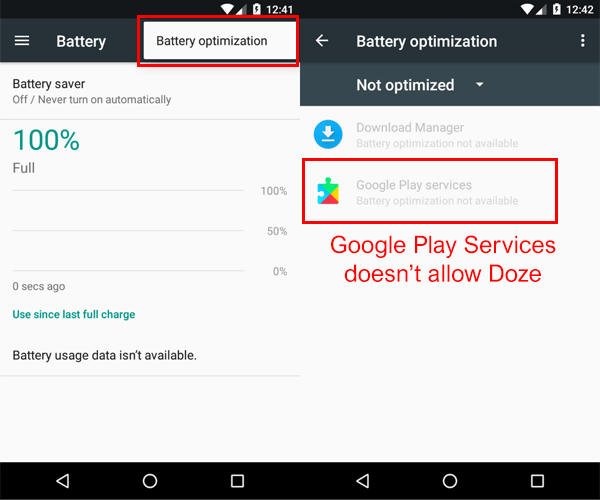 As we saw a while ago, with Android 6.0, came a new smart function, Doze. With that feature, the operating system sets the device on sleep after we haven't used it for a while. The aim is to prevent unnecessary battery consumption. Nonetheless, a few apps aren't compatible with this feature. 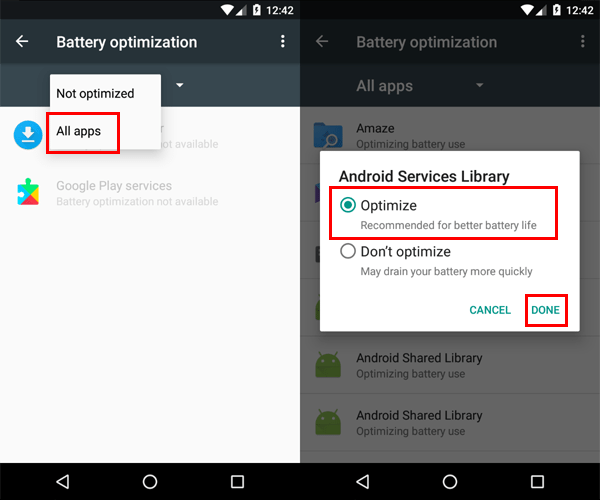 To track the apps not compatible with Doze, we go to "Settings→Battery." On the top right, we tap on the three dots, and go to "Battery optimization." 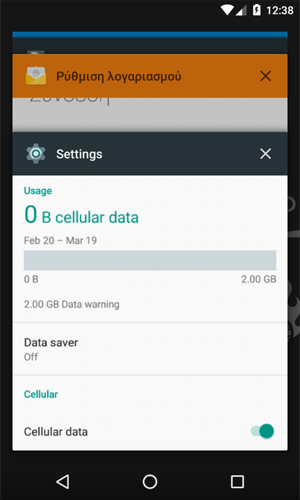 We are already in the category "Not optimized," and we can see that a few apps might not allow us to alter this setting. We tap on "Not optimized," and choose “All apps." From there, we go to any app entry we want, choose "Optimize," and tap "DONE." Now our phone will manage the apps better. 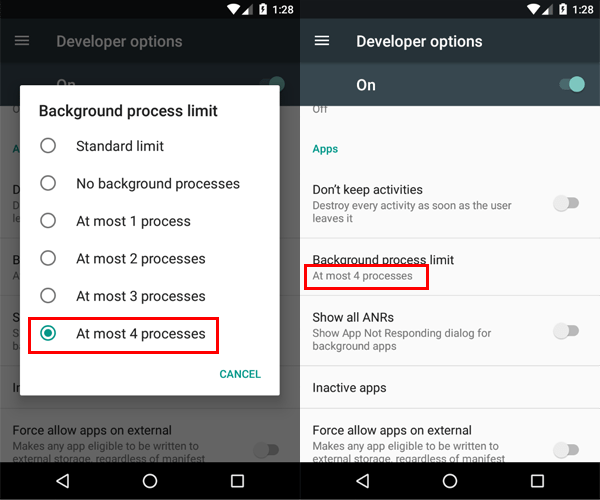 However, these settings don't prevent auto-stating apps on Android. That's why we have to check which apps run every time we turn our phone on. 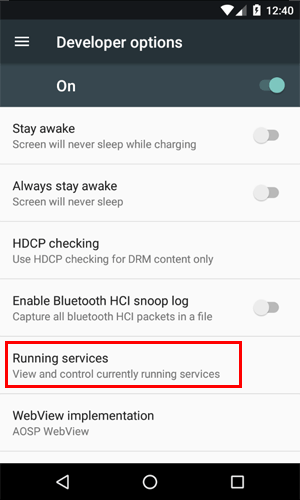 On older Android versions, the tracking process for background running apps is a little different. We need to go to "Settings→Apps." There, we will find the tab "RUNNING," which contains all apps running in the background. We tap on any app entry we want and choose "STOP." If we want just to close the apps that are currently running, then we only have to press the corresponding button for the most recent apps to appear. 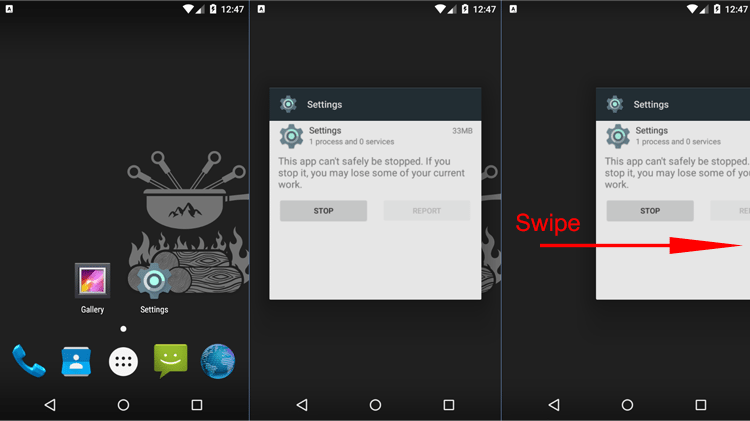 Then, we can close any app we want with a simple swipe. As mentioned, the solutions described earlier require us to take several actions, including frequent check-ups. All of this is undoubtedly inefficient, let alone monotonous and annoying. 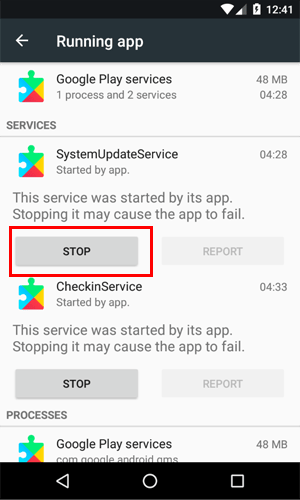 If we want to prevent auto-starting apps on Android, then we need to take the following steps. To forbid apps from running when we boot up our phone, then we need to use third-party apps. 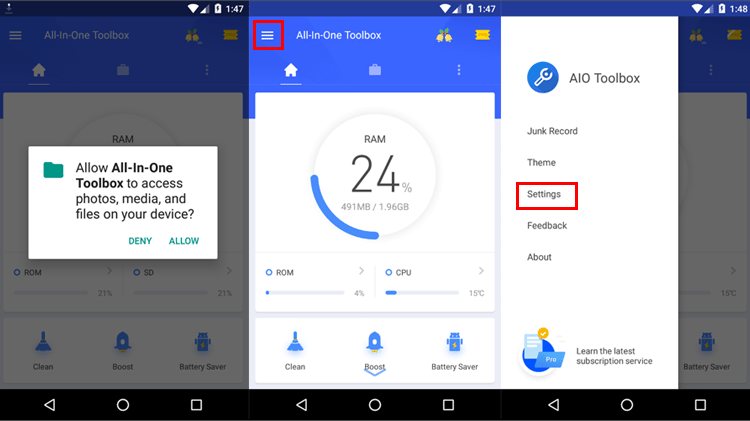 All-In-One Toolbox is one such app. We can use it on rooted, and non-rooted devices. After downloading All-In-One Toolbox, we just run it. We give it the required permissions, and before we do anything else, we tap on the three lines and go to the settings. Here, we go to notifications and disable all these options. Also, we disable "Show Startup Time" on the "Startup Settings" section. Now we won't receive any annoying notifications. We track "Boot Speedup" on the app's main screen. We tap there, and we can see a list of the apps that run every time we start our phone. Every app has a switch next to it, and by clicking on it, we disable the auto-start feature. We check the "User Apps" and "System Apps," and disable any of them we might want. 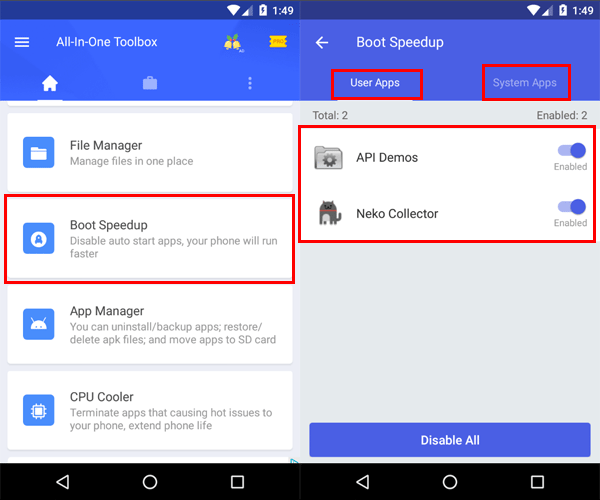 From now on, All-In-One Toolbox will forbid auto-starting apps on Android. 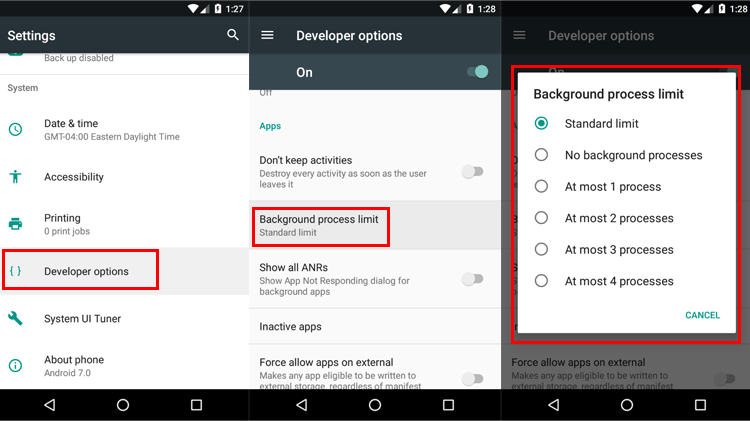 In every Android version, there are developer options available. Among the settings, we will find "Background process limit." 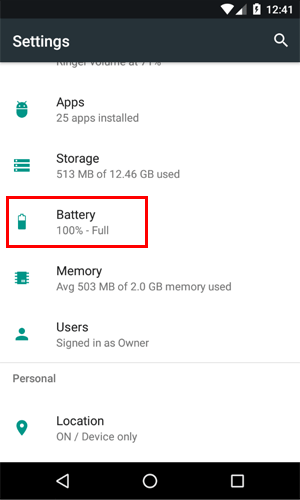 This feature disables background-running apps. When we run an app, it will automatically "kill" the one we were using before that, instead of putting it in the background. To use this feature, we start by enabling "Developer options." 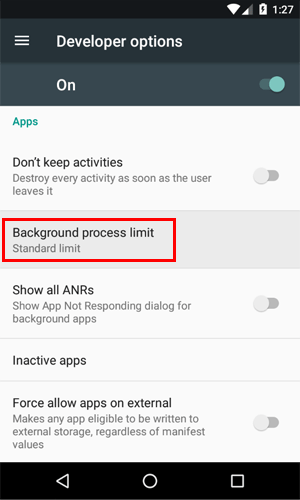 We go to "Background process limit," and select it. The options window will appear. We can choose the standard limit, with which the operating system will be closing apps as it deems necessary for our memory not to overload, and our device not to lag. Meanwhile, with "No background processes," our system doesn't allow any app to run in the background at all. This practically means that if we close an app, then it is automatically "killed." Lastly, we can choose to keep one to four apps running in the background. We tap on the desired option and leave the settings. Now, our operating system will make sure apps won't run in the background unless we want them to. 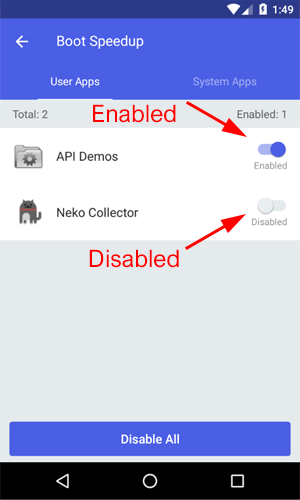 Do you use any apps that disable others from auto-starting? Did you know that your favorite apps might be reducing your system resources and life expectancy of your phone? Did you find this article to be helpful? How are you going to treat background-running apps from now and on? Let us know in the comments.